I would recommend having at least three reeds in your case at all times, and using them in rotation so that you always have something that works. As they wear out, you should replace them. 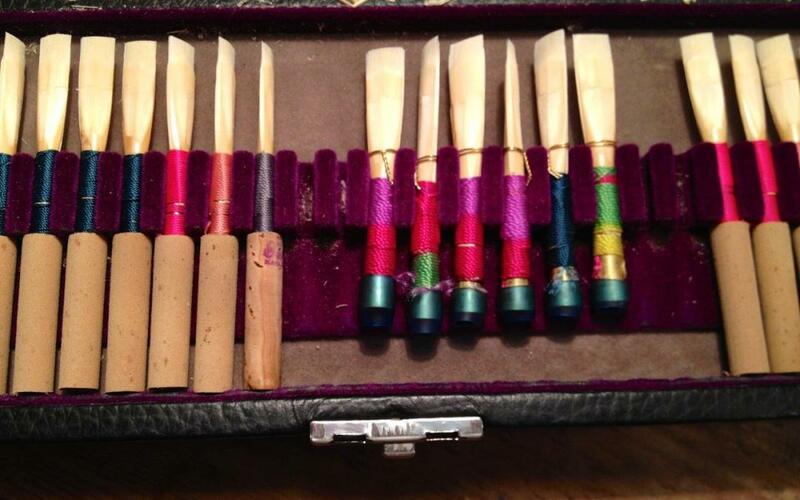 For a young beginner, there is no need to start out with expensive hand-made reeds. Lesher reeds and Fox reeds, available at your local music store, should be fine. As those machine-made choices become limiting – WHICH THEY WILL – we can talk about stepping up to my reeds or someone else’s, or learning to make your own. Additionally, you will want a good quality case to keep them in. The mailing tubes that they arrive in do not allow ventilation or protect the reeds well. I have a variety available on my site or you might check out Amazon’s offerings.